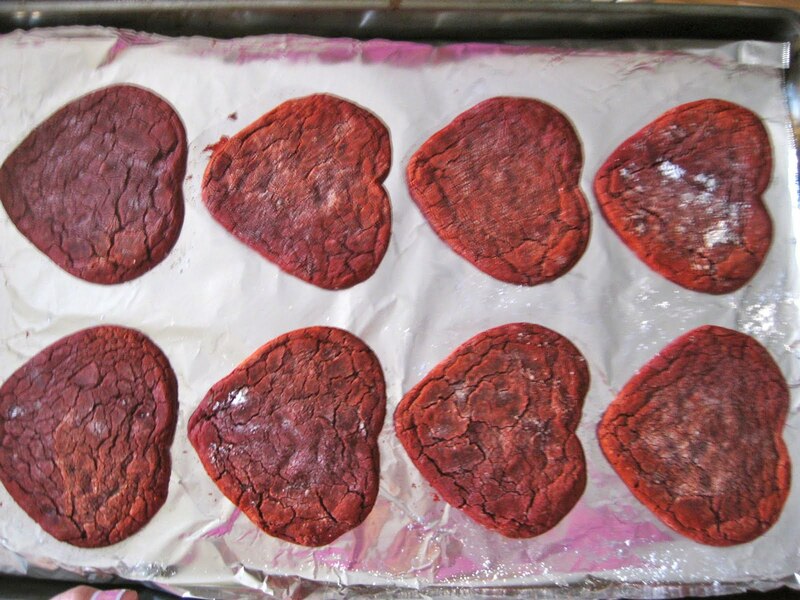 For Valentines Day this year I thought it'd be fun to make something yummy for my friends. 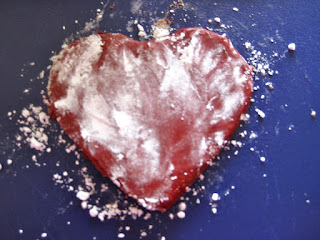 And what's more perfect than chocolate on Valentines, let alone red velvet cake? Since transporting cake is one of my least favorite things to do since it usually ends up a big mess, I decided to make heart shaped cookies. 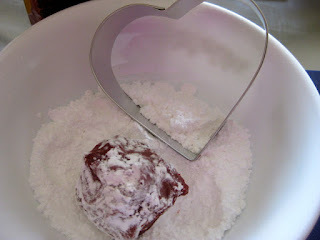 I was super excited to finally put my Urban Outfitters heart-shaped cookie cutters (that I got on sale for $2) to use! I've never made red velvet cake even though I love it so much. 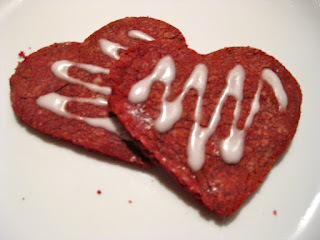 The only thing keeping from making red velvet anything was getting the perfect shade of red since that requires using an entire bottle of red food coloring. No thank you. But I finally gave in and decided to use a cake mix. Cheating? Yes. But I guess it's perfect for those of us who just don't have time or money. Perfectly enough, Jewel had a sale for Duncan Hines red velvet cake mix last weekend so I snatched a few up! I was worried it wouldn't give me that perfect red especially after pulling out a bag of brown cake mix. But after adding the wet ingredients, the color appeared like magic!! So here it is folks, a simple "melt-in-your-mouth", as my tasters put it, cookie! 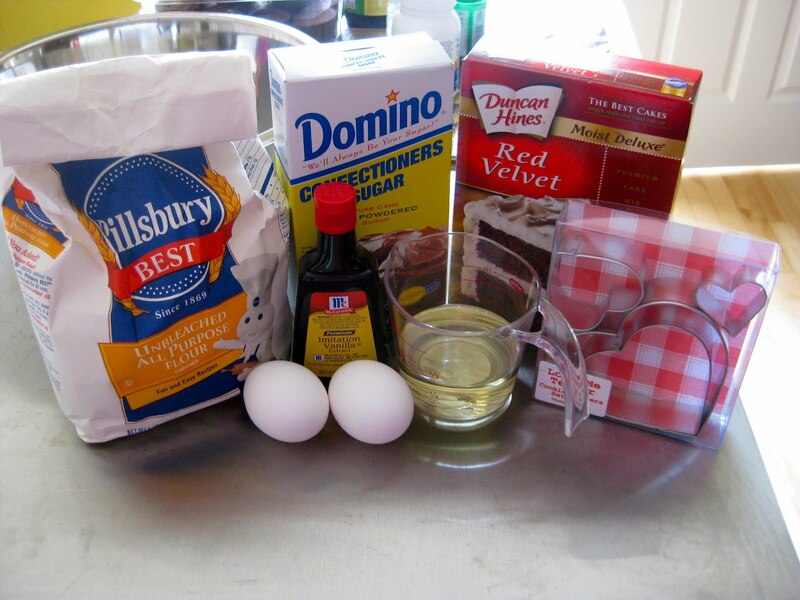 Preheat oven to 350 degrees F. In a large mixing bowl, combine cake mix and flour. Add the eggs, oil and vanilla extract. Again, since this is a thicker cookie dough, I used a fork to mix everything. 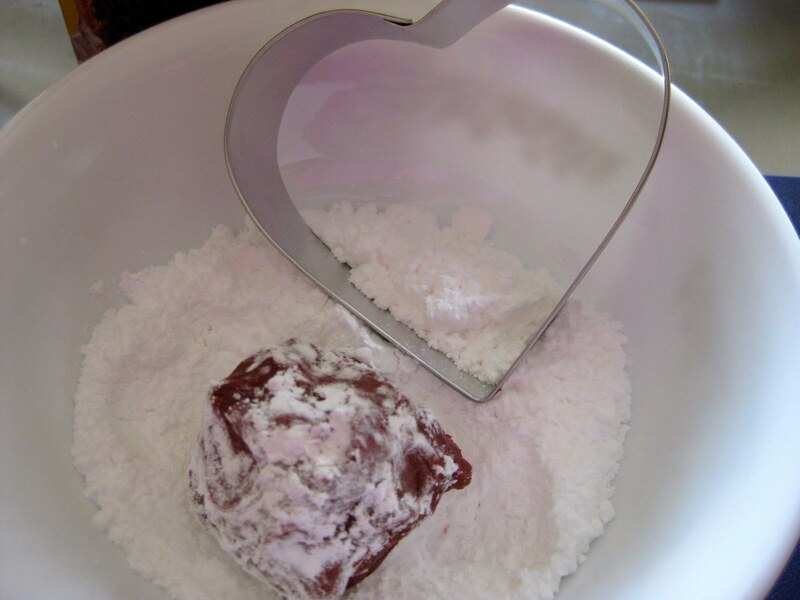 Use a tablespoon to scoop dough and form into a ball. 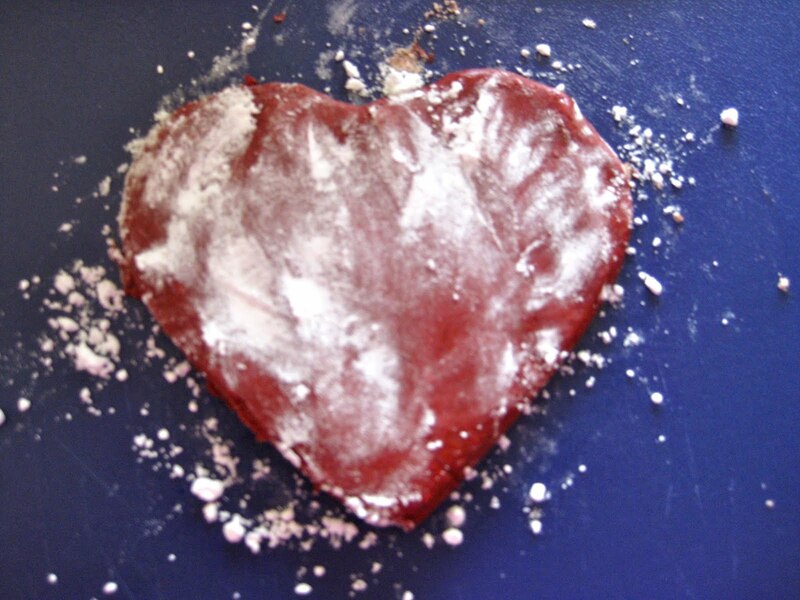 Roll dough in powdered sugar. (If you want to use a cookie cutter follow this next direction, if not, skip to the next paragraph) Flatten dough about 1/4 inches thick on a prepared surface (I used powdered sugar to keep the dough from sticking). Cut out your cookie shapes using cookie cutter(s). Set the dough on a prepared cookie sheet. Be sure to place them at least 2 inches apart since they do spread out a lot. Bake for 10 minutes or until edges are set and cookies begin to crack. I decided to have a little fun and added royal icing to a few cookies. I've never made royal icing since I usually decorate everything with melted chocolate or nutella, but I decided the color would be too dark to show up on these cookies, so I needed white icing. I gave it a shot and it worked pretty well! 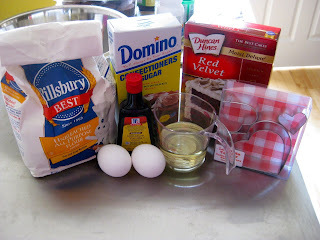 Whisk all ingredients together until well incorporated. Pour into piping bag (or ziploc bag with a tiny bit of the corner cut off like I did) and decorate away! Be sure to cover any unused icing and stick in the fridge since it hardens pretty quickly.